“If nothing has a form, it would be this." Bureau 0–1 designed the space for this unique opportunity to exhibit the concept, history, and contemporary state of vacuum and its associated technologies. The decommissioned wind-tunnel was required to be converted into a proper gallery. For this task, we set out to design a new lighting system, window screens, vitrines, and entrance sequence based on the rerouted circulation. The correlation between the exhibit's narrative and objects were carefully considered in planning the circulation through the former wind-tunnel's unique spatial qualities and irregularities. 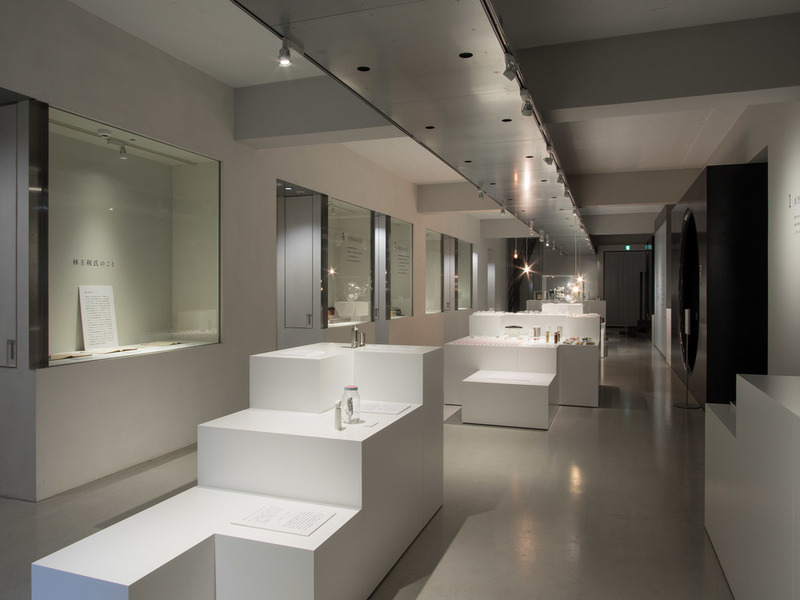 As the first in many exhibitions envisioned for this space, those elements were to be designed not only for this specific exhibit but also had to be convertible for coming scenarios. The vitrine design was essential in absorbing changes that may arise from future, unpredictable events. Three geometries of vitrines - square, rectangular (1:2), and L-shaped - articulated in three heights accommodate different corporeal interfaces; 45cm as a seat, 75cm as tabletop, 105cm as countertop. These vitrines can be used individually as an isolated podium or combined Tetris-like to create an aggregated pixel-scape. To emphasize the ineffability and vacuousness of this subject, organdy fabric was used as spatial partitions as well as medium unto which texts were printed. This created a layering effect, refraction of light, and texts to appear floating. Vacuum is a form of nothingness. In contemporary physics, it is defined as a condition well below normal atmospheric pressure. However, the “space devoid of matter” was a frequent topic of philosophical rumination from ancient times. Aristotle left the words horror vacui whilst denying the existence of true vacuum as Democritus stipulated. Since vacuous state became reproducible in Modernity, it has become the supporting mechanism behind progresses in sciences, industries, medicine, and various disciplines. Vacuum technology permeates many aspects that constitute human civilization; from x-rays to lightbulbs, CRT TVs to thermos, and bento to the universe. This exhibition strives to unravel the complexity of interrelations by tracing the scientific foundation and historical context of vacuum, to how it affects our daily lives. To novices, experts, and everybody in between, this is a walk through the world withdrawn from our senses.